If you’re moving to Jakarta, finding the right place to live can be tricky. Traffic is one of the number one problems to consider, so finding the perfect place is essential. 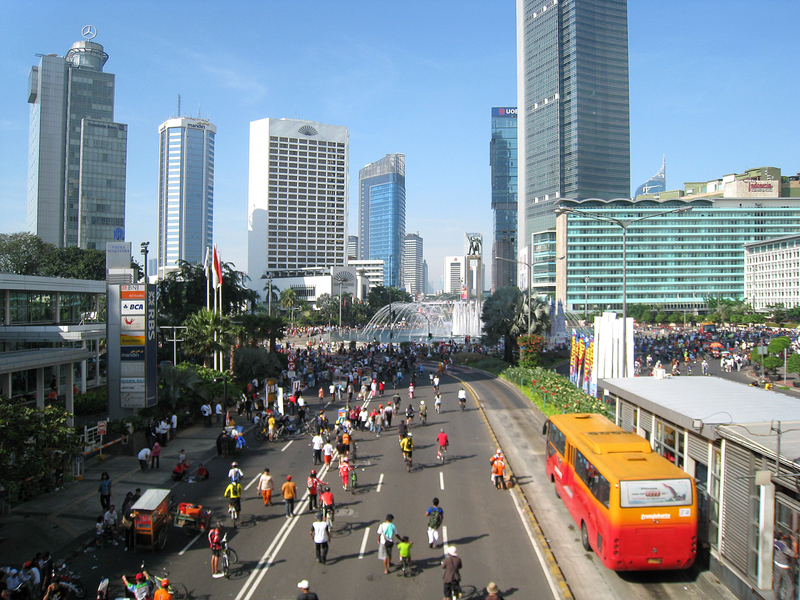 To guide you, here are five of the most popular residential areas for expats in Jakarta. Considered one of the most prestigious neighbourhoods in the city, Menteng is definitely one of the more expensive areas in Jakarta. Located in the centre of the city with close proximity to Jakarta’s central business district, the area is convenient for those planning to work in Indonesia on international business projects with generous budgets. Pros: Located in the centre of the city, next to the business district, and surrounded by some of the city’s best restaurants, malls and nightlife. Cons: High prices and bad traffic. Kuningan is a comparatively well-planned area of Jakarta and boasts a number of positive attributes that are often favoured by expats. Tree-lined streets run throughout the neighbourhood, and as you drive through, you will see a significant number of houses and apartments. Small parks allow for little bursts of green, giving you a nice change from the everlasting grey of the city, and nearby shopping malls like Pacific Place, Kuningan City and Lotte Shopping Avenue provide fun activities for people of all ages. Pros: A relatively safe neighbourhood with plenty to do and small parks providing bursts of greenery. Cons: Bad traffic and a little further away from international schools in comparison to areas like Kemang. Kemang is easily one of the most popular expatriate neighbourhoods in Jakarta, particularly for families. This is due to the number of international schools located nearby, as well as the relatively high quality of housing and general safety of the area. Restaurants, cafés, bars and clubs provide a nice night out no more than 20 minutes away. Though be warned – Kemang’s small streets make it especially susceptible to floods and traffic jams. Pros: A family neighbourhood, Kemang offers a multitude of things to do for a night out on the town with friends and/or family. Cons: Susceptible to flooding and traffic jams. Drive a little further south from Kemang, and you will find yourself in Kebayoran Lama – an up and coming neighbourhood popular among expats, largely because of the excellent housing, relative safety and range of nightlife options. It’s basically Kemang, but more reasonably priced. Pros: A new hotspot for restaurants, malls, and other fun activities. Cons: Really bad traffic during rush hours. The Golden Triangle is a neighbourhood comprising the three major thoroughfares of Sudirman, Gatot Subroto and Rasuna Said. Apartment developments over recent years have turned it into a residential area suitable for expats who want to live within the heart of the city. It is perfect for those who don’t need to live near schools and who don’t mind living in apartments. However, if you’re looking for a place with lots of trees and greenery, then living in the Golden Triangle isn’t for you. Pros: Located right in the middle of the city, so it’s a great area for those moving to Jakarta for business. Cons: Not suitable for those moving to Jakarta with families, and bad traffic.